A bridge loan between equity and debt is known as a convertible note. At first glance, a bridge loan might seem like an amazing loan possibility that surmounts the odds of debt funding as it must not comply with the requisite of certainty. Who are the daring lenders of convertible equity? 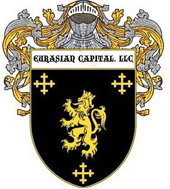 They are investors like us, Eurasian Capital, LLC. We love convertible equity! This is a great way to manage the uncertainty and costs to estimate a company valuation. This doesn't mean that a convertible note eliminates the risk or the due diligence process. Convertible notes make a lot of sense when both parties (fund seeker and provider) want to shift the discussion about valuation to a later round of investment when the company is more credible, and the new funds are expected. Convertible notes provide the agreement that defines the amount of capital provided to the company, the interest rate, and three new concepts - cap valuation, discount/warrants, conversion. The interest rates are typically a bit higher with convertible notes than they are with traditional loans. Valuation cap refers to the maximum valuation that is accepted by both the fund-seeker and the supplier. Discount refers to the benefit the investor/lender receives in terms of a lower value of the company's equity in future rounds of investment. This means that, in addition to the interest, another benefit to the lender is that they can choose to convert to equity by using the money that is owed to them by the company to purchase more shares at a discounted price with regards to the price agreed upon in the future funding round. The sum of the discount is usually negotiable, but a good rule of thumb is usually 20% - 25% per year. The percentage must be balanced against the cap rate as previously described. Another option in place of discounts is a warrant. A warrant is an alternative that allows the lender to purchase several shares at a pre-determined price. These are more unpopular than discounts as a warrant focuses on the money that is invested and not on the new valuation of the company. A convertible note is a loan that an investor can give to a company that automatically converts into shares and stock, but only after the company completes its next round of capital. One of the biggest reasons a founder might opt for a convertible note is that it doesn't require them to give away any of their company before a Series A round of funding. Convertible notes are also flexible in the sense that it's an agreement between parties. These are less scrutinized by financial institutions. It is common for the parties to adjust as the company evolves. Contact Eurasian Capital, LLC for more information, examples, and tips about convertible equity. At Eurasian Capital, we connect small to mid-cap companies with private equity capital.